It’s a good thing most hats are head-size or this week’s Word Problem Wednesday would be a whole other challenge. See if you can come up with the solution today and come back tomorrow to compare your answer with ours! There are 10 knitters in a knitting club. 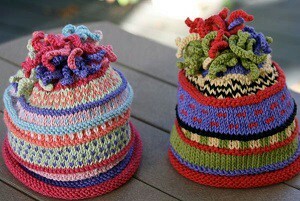 Each knitter makes 18 hats per month. The knitting club takes all the hats and packs them in boxes of 12. How many boxes of hats can the knitting club fill in a month? The knitting club can fill 15 boxes. To find the total number of hats, we multiply the number of knitters by the number of hats they each make: 10 x 18 = 180 hats. Each box holds 12 hats, so we divide 180 hats into groups of 12: 180 ÷ 12 = 15 groups of hats.